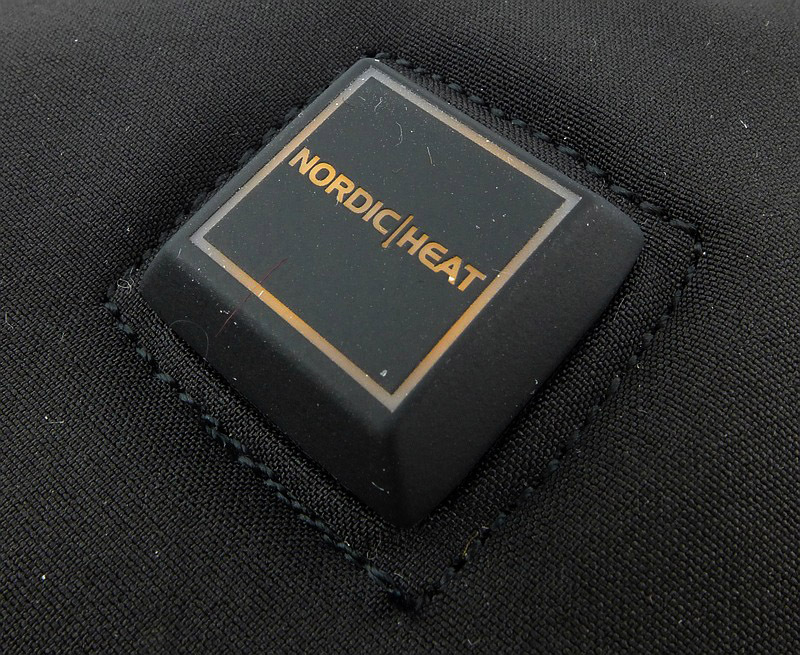 Having been thoroughly impressed by NORDIC HEAT in previous years at IWA, at IWA 2018 I made sure to visit them to be able to talk directly about their thoughtful approach to electrically heated clothing; plus I wanted to take the opportunity try some of their products at the show. 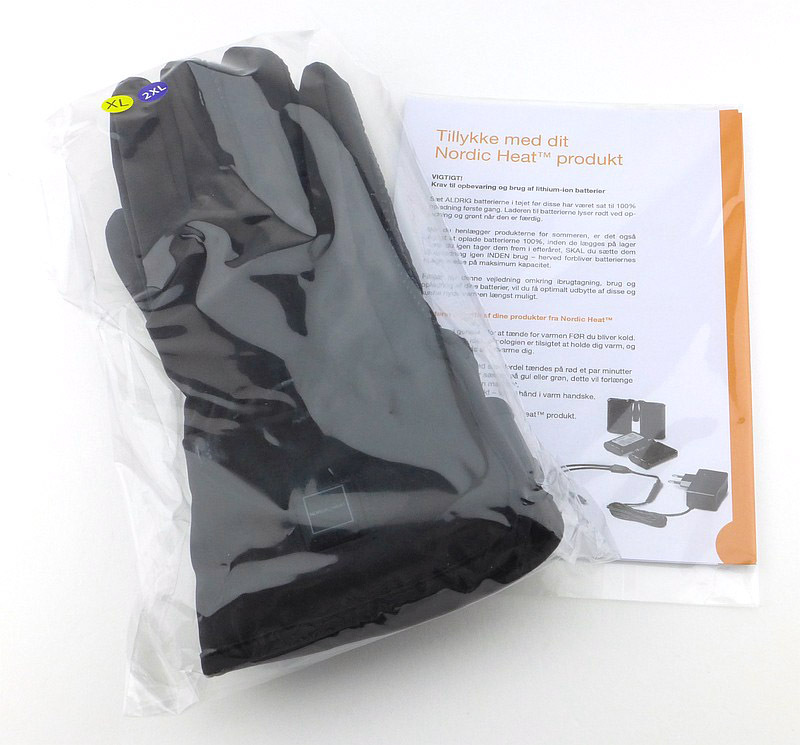 I was so impressed, I came away with some NORDIC HEAT gloves to take a more in depth look at. 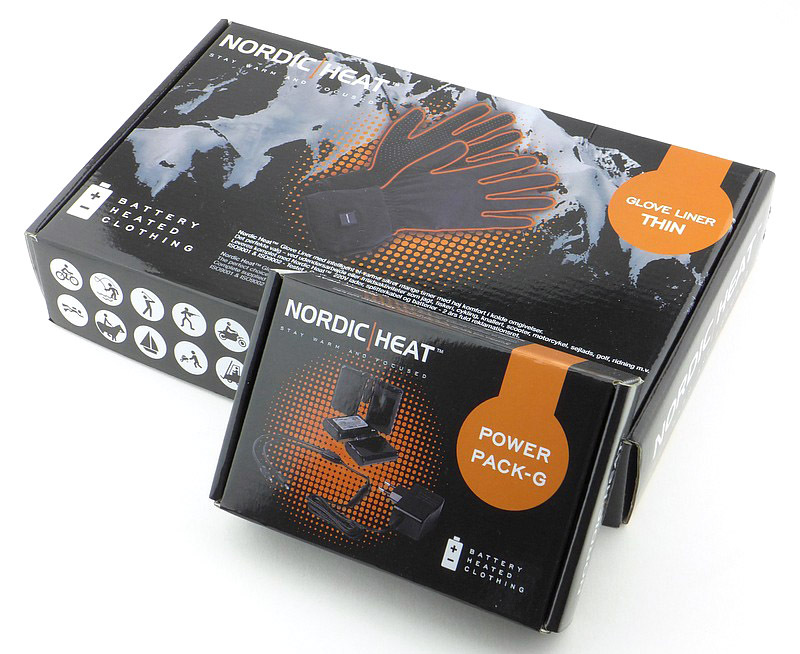 In this case the I’m testing the Glove Liner (Thin) gloves which are the lightest-weight gloves in the NORDIC HEAT range. 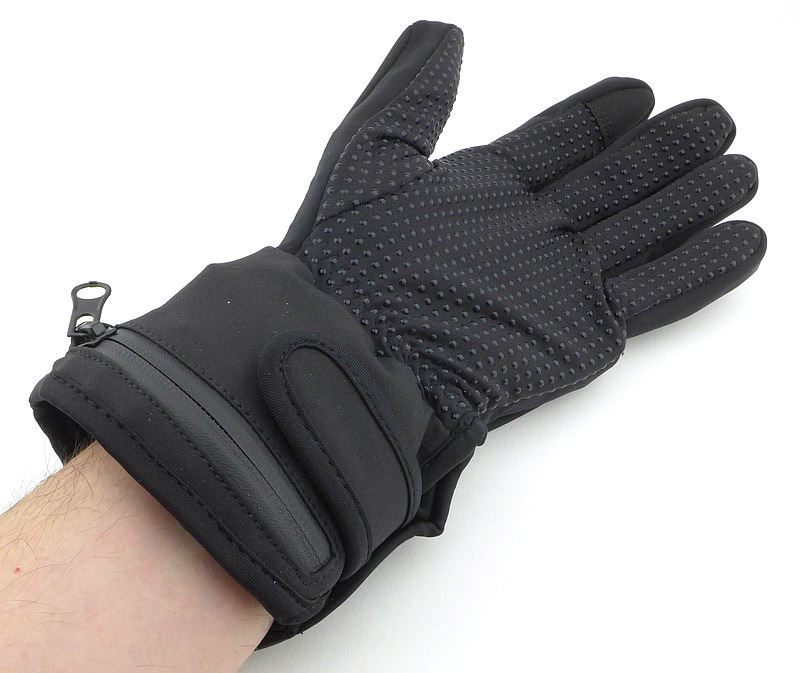 They give you the option to use them on their own as lightweight heated gloves, or are thin enough to be worn under outer gloves, adding heating to otherwise unheated gloves. 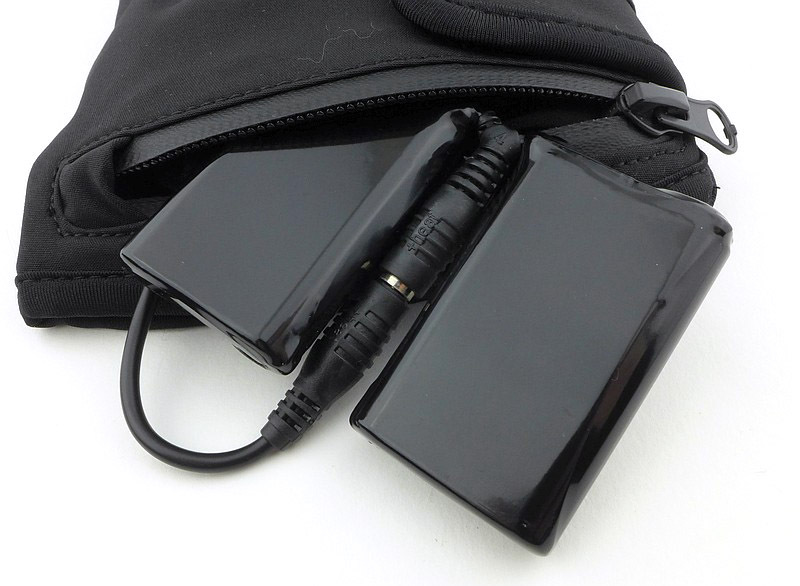 In their logically thought out approach, the whole system is modular and the power packs and charger come as a set to be combined with various items of heated clothing. 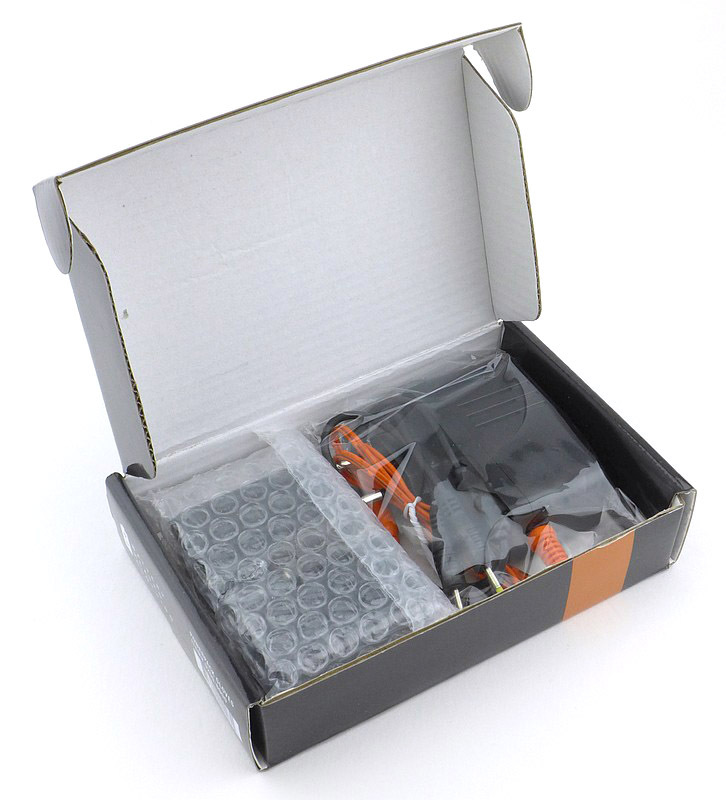 The contents are very neatly fitted into the box. Here are the full contents of the power pack. 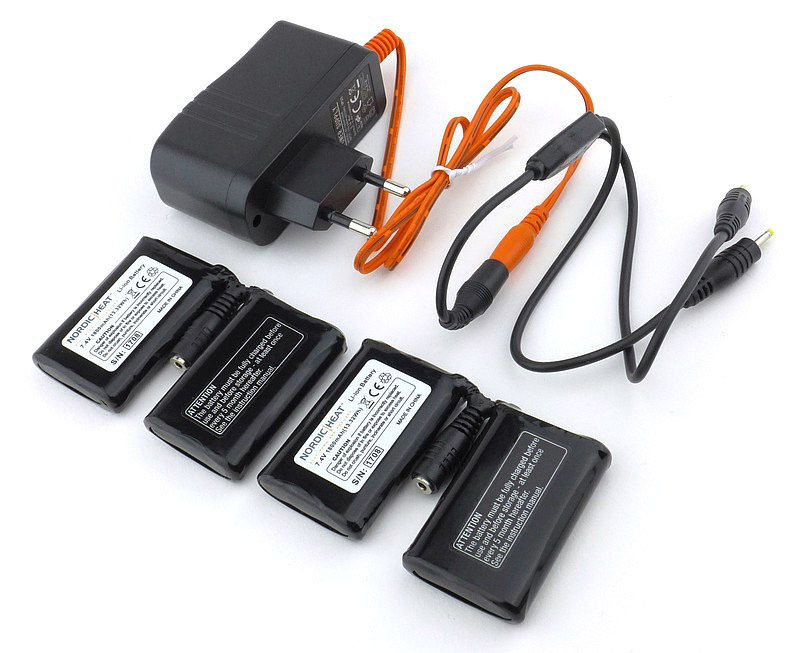 Each battery has two smaller battery packs joined together. Underneath the power supply are its specifications. 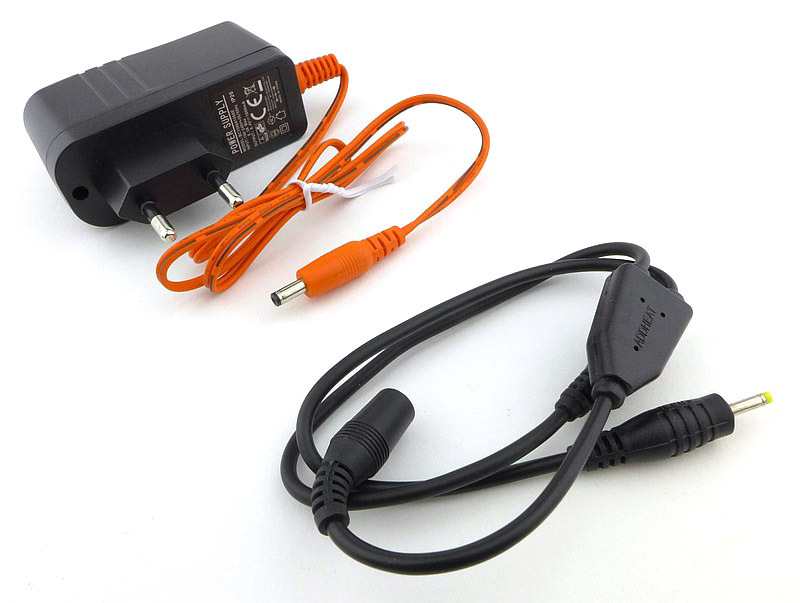 The power supply output is connected to a Y-cable to feed both power-packs at once. The power supply plug and the battery plugs are different. The charging indicator is visible on the top. 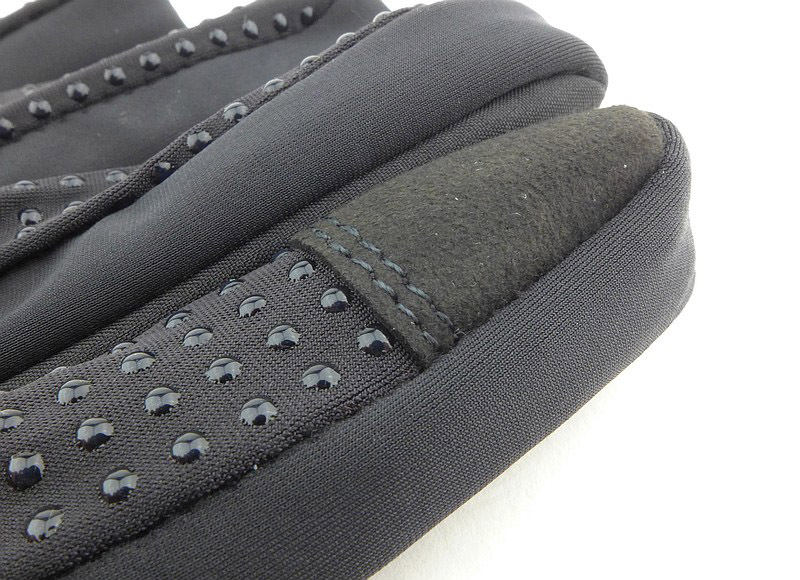 Despite being a lightweight glove, the construction is solid and attention to detail in the fit and comfort is excellent. The entire inner surface has rubber dots to really add grip, plus there is a touch screen compatible pad on the index finger. 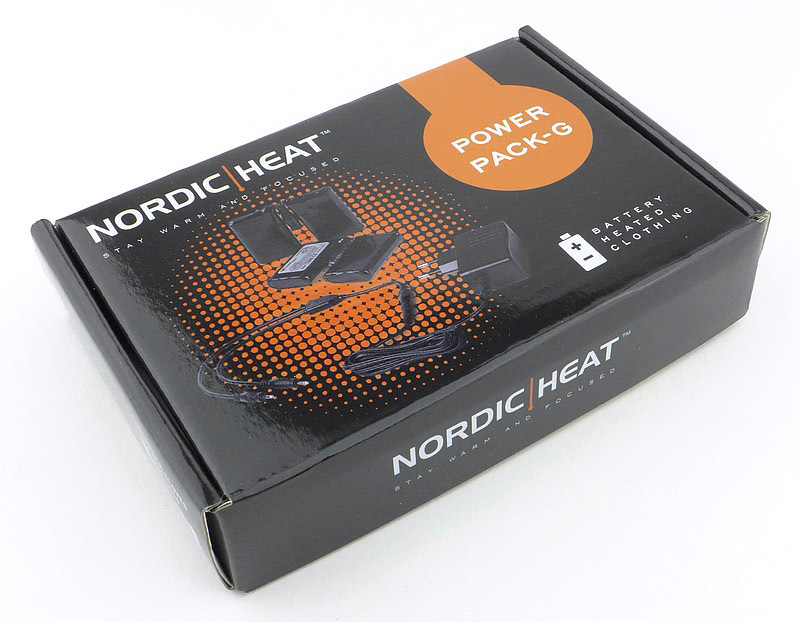 NOTE: (Added at the request of NORDIC HEAT) – NORDIC HEAT recommend fitting the battery pack the other way up to the way shown in the photos. 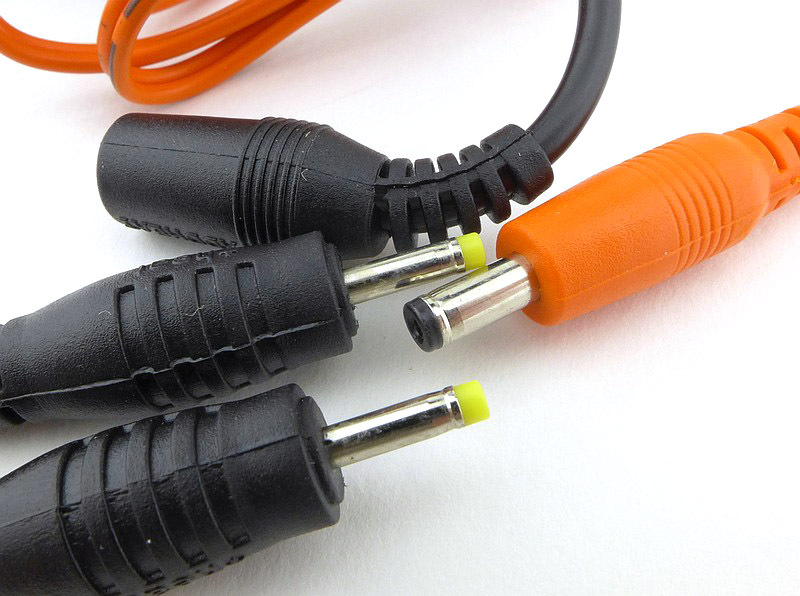 They intend for the power cord to go straight down into the glove rather than being looped round. 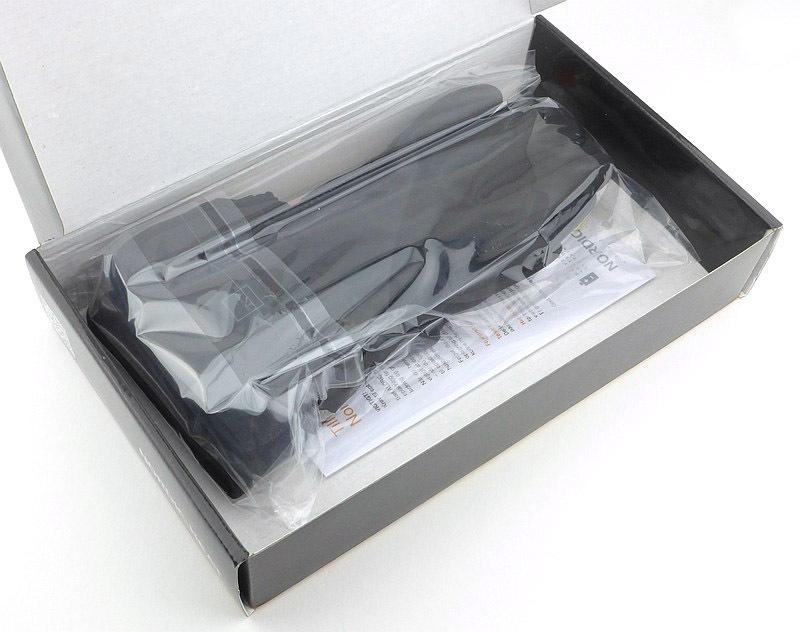 With the power packs in a separate box, here we just have the gloves and a leaflet. Front and back of the gloves. On the back of the wrist is the power button. 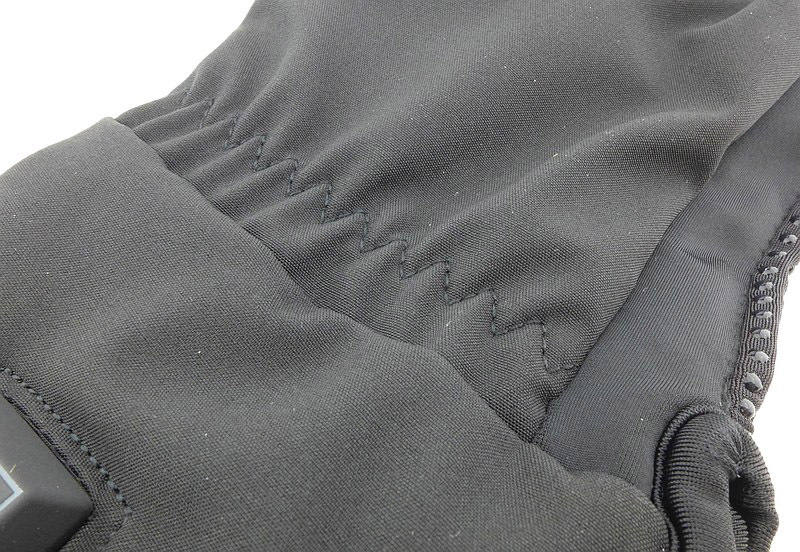 There is zig-zag stitching at the elasticated wrist. 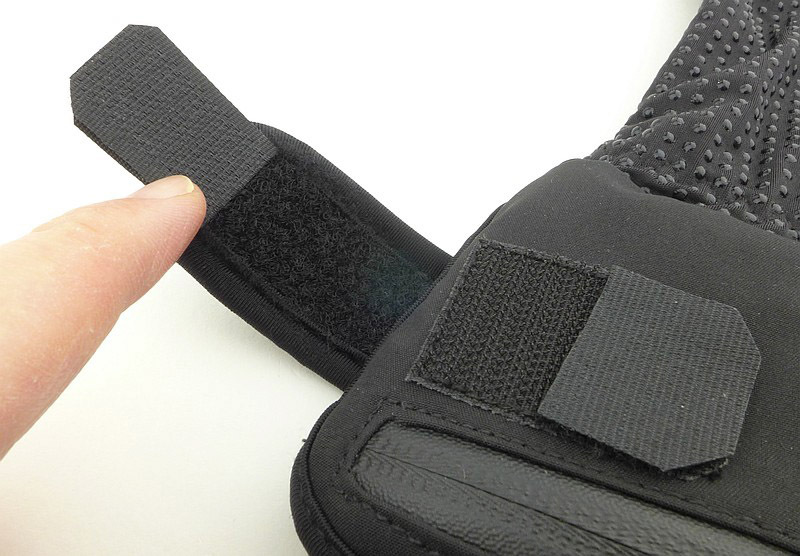 A Velcro tab allows for adjustment. The adjuster tab fully open. 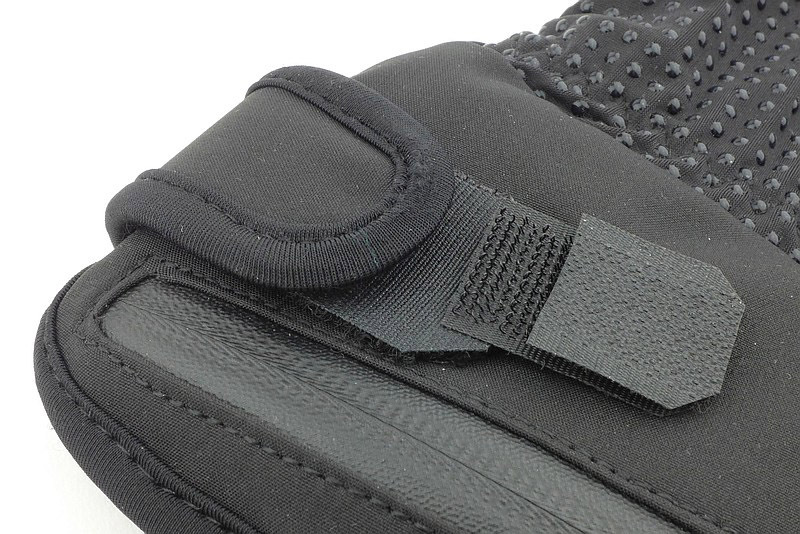 Showing the wrist adjustment gusset. 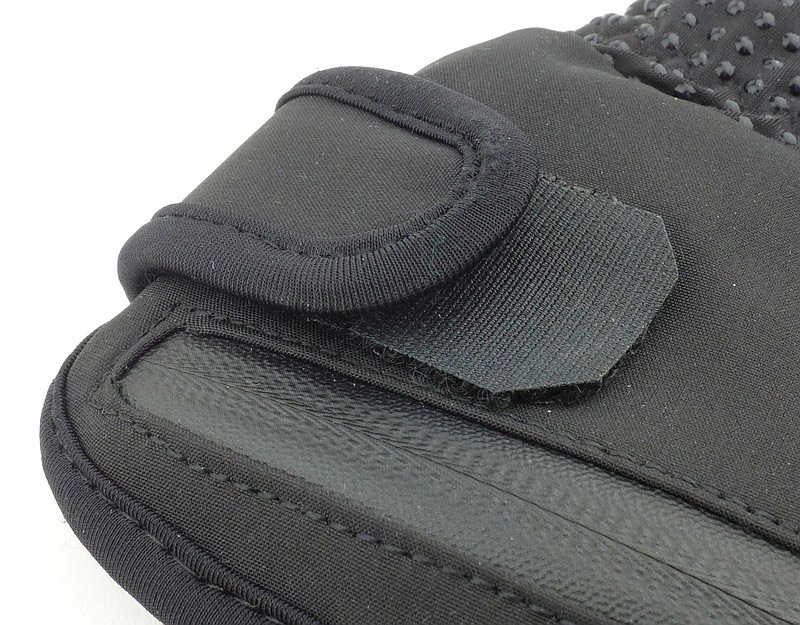 On the under-side of the wrist is the battery compartment and its zip. Inside is the battery plug. 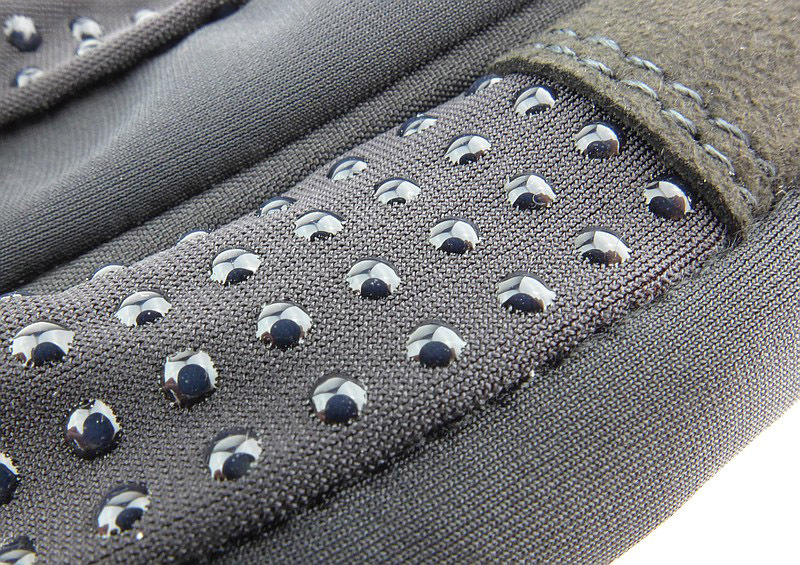 The entire palm/finger grip surface is covered with rubber spots. 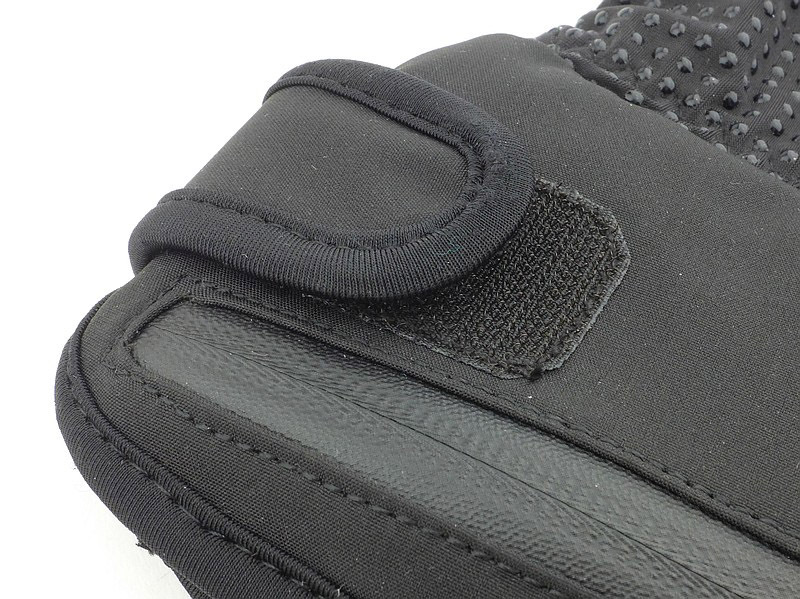 A closer look at the grip. The tip of the index finger has a touch-screen compatible material. Everything tucked in and ready to zip up. And this is simply because in the past you had only one choice in the cold, and that was to try and reduce how cold you were with more clothing – ‘try’ being the operative word. Once cold starts to set in, the body reduces blood flow to the extremities and they get even colder. So really you were just a certain level of cold, but didn’t have much choice so got used to the discomfort. Heated clothing provides us with benefits beyond simply the comfort of feeling warmth; it keeps us functional longer in more extreme conditions. I use it in a few different ways, all of which are subtly different. These are also based on the fact that there are batteries which will run out, so you can’t simply run them all the time. The first of these ways of using them involves actively combating the cold to stop it setting in. This is where you start off with the gloves on, and turn them on before even going out into the cold. Keeping the hands warm with heating from the very start means you maintain the best dexterity as long as you have battery power for the heating. Second, and for me a very important way of using them, is for recovery. 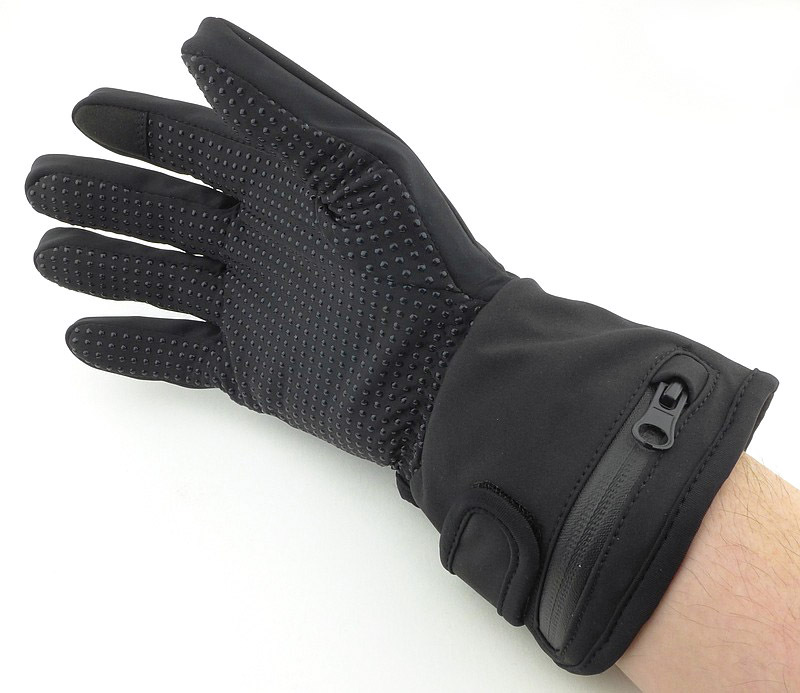 There are situations where it is not practical to use the heated gloves initially, and other gloves are used. Inevitably the cold starts to creep in and your hands become colder and colder. Once you reach a certain point you really need to recover. Swapping to the heated gloves and using them to bring back the circulation gets you ready to go again. 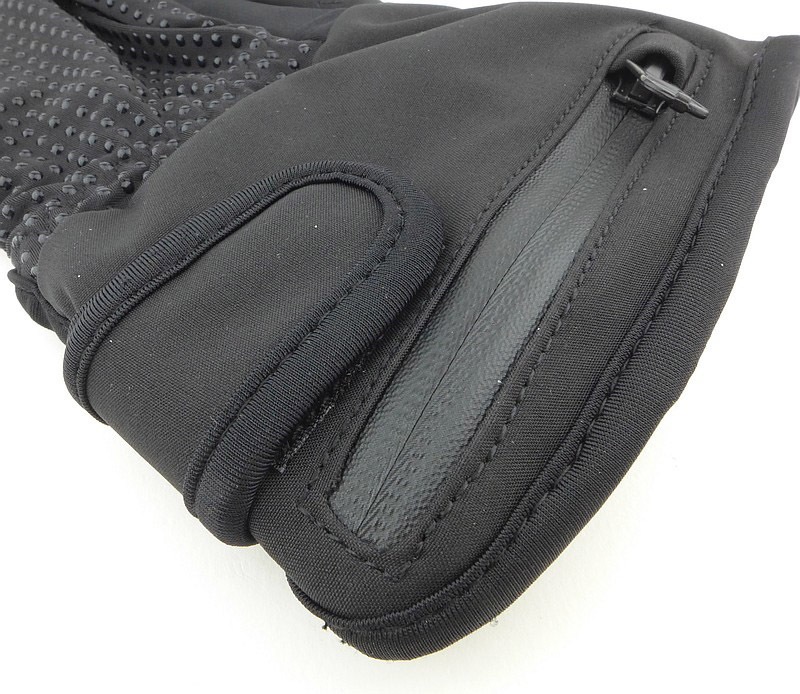 As these glove liners are not themselves thermally insulated, on their own they do not provide much protection beyond keeping some cold air off the skin, and certainly don’t help with holding very cold tools or touching cold surfaces beyond the active heating provided to the side of the fingers. This is why I frequently use other thicker gloves, most of which are not large enough to allow the use these as glove liners, mainly due to the battery pack bulk, so the ‘recovery’ approach is very helpful. Third on the list is preparation for the cold environment. We are not always warm to start with and the other gloves you are going to use might be chilled; you can use these heated gloves to give you hands a real boost to start with. 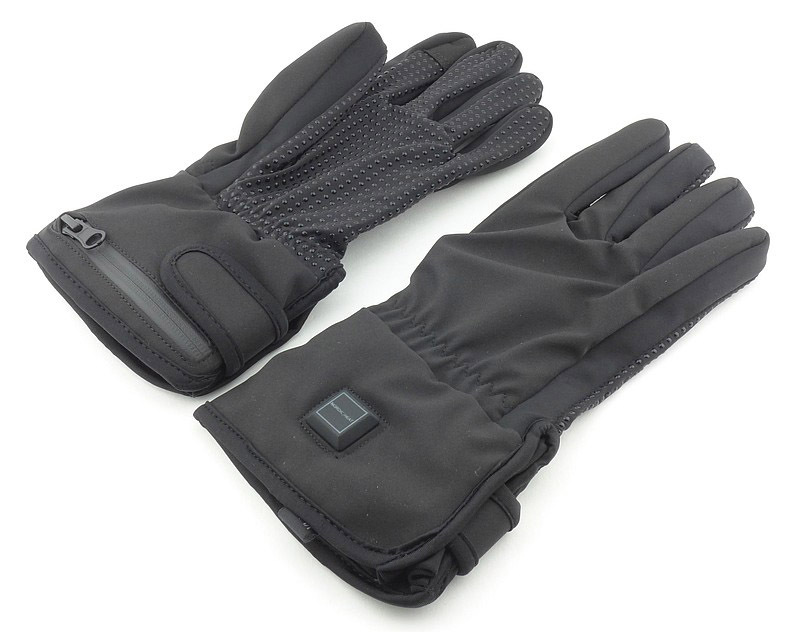 The non-heated gloves can then be warmed with body heat from this pre-warming and the circulation boost. You may find different ways to work with them, but this is what has been good for me. 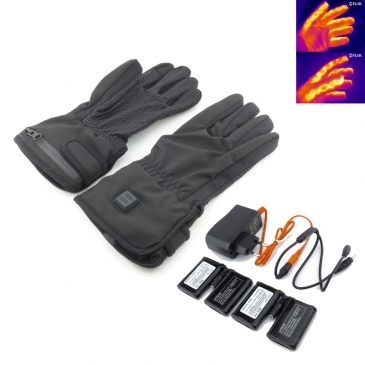 Though I’m going to move onto observations that are more specific to these gloves, there is one characteristic I need to mention which is the same for all heated gloves that have their own battery packs. 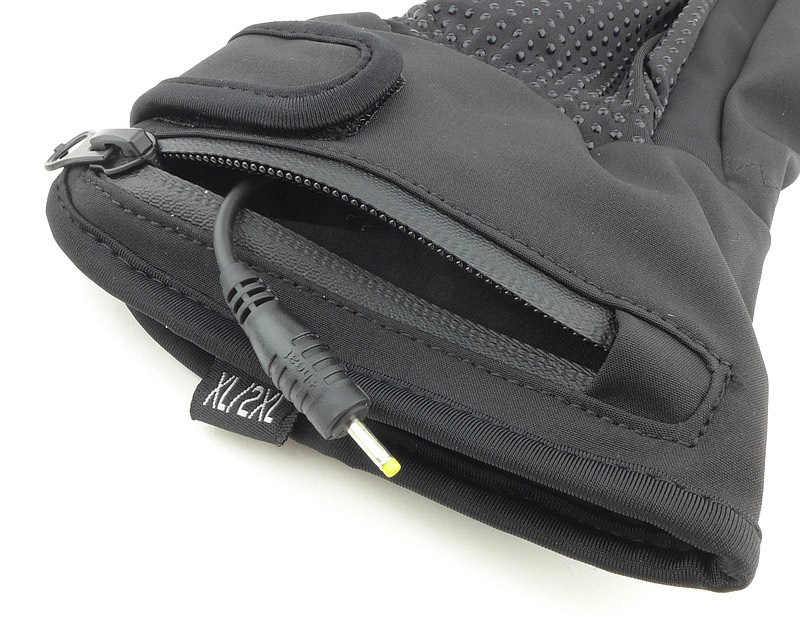 Having the battery pack in the cuff gives the gloves a strange balance, bulkiness and heavy feel. In the case of these glove liners, this is even more pronounced as the gloves are lightweight, but it is the same in all heated gloves. The bulk at the cuff tends to interfere with your watch; I frequently go without a wristwatch when using heated gloves. 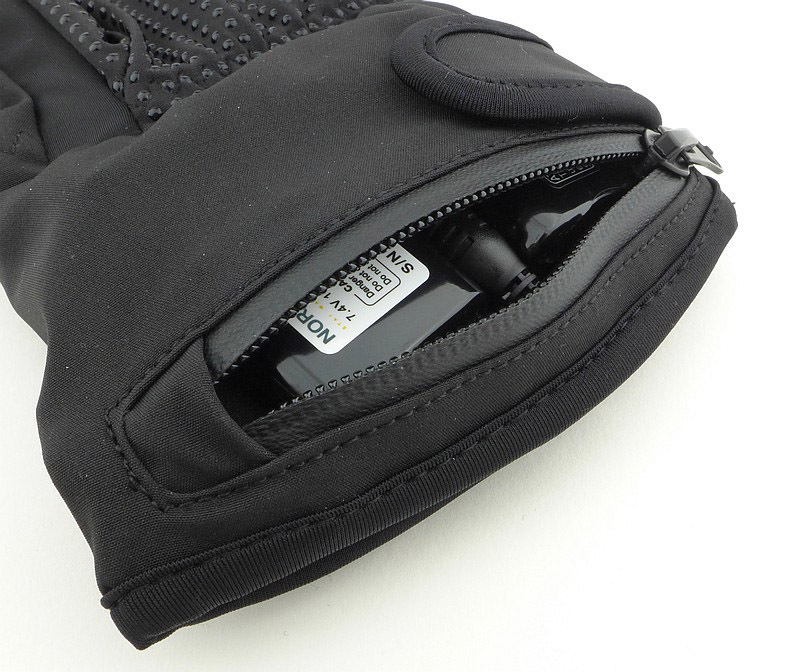 This is something you need to accept if you want the benefits of independently powered heated gloves. 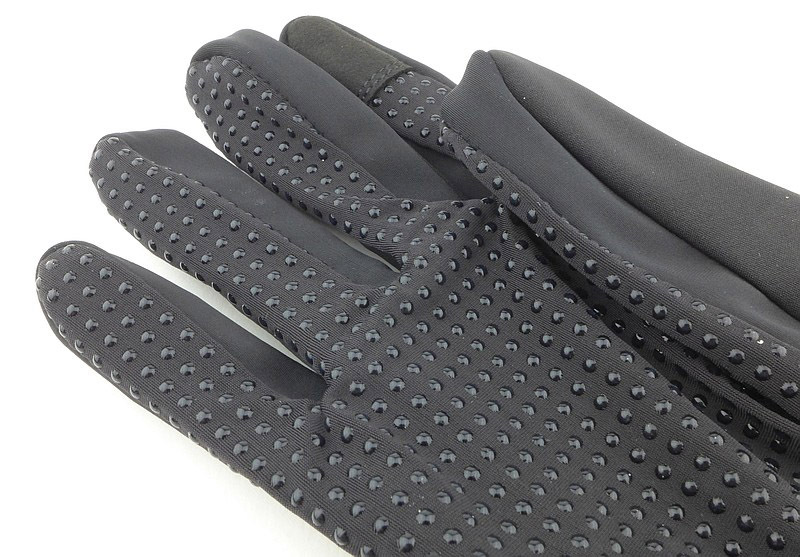 Thoughtfully, even though these are called glove liners, a touch screen compatible index finger tip has been included. Though it doesn’t look conductive, it certainly works. Be aware however that, just like every other touch screen compatible glove, the finger contact area is pretty big and imprecise. 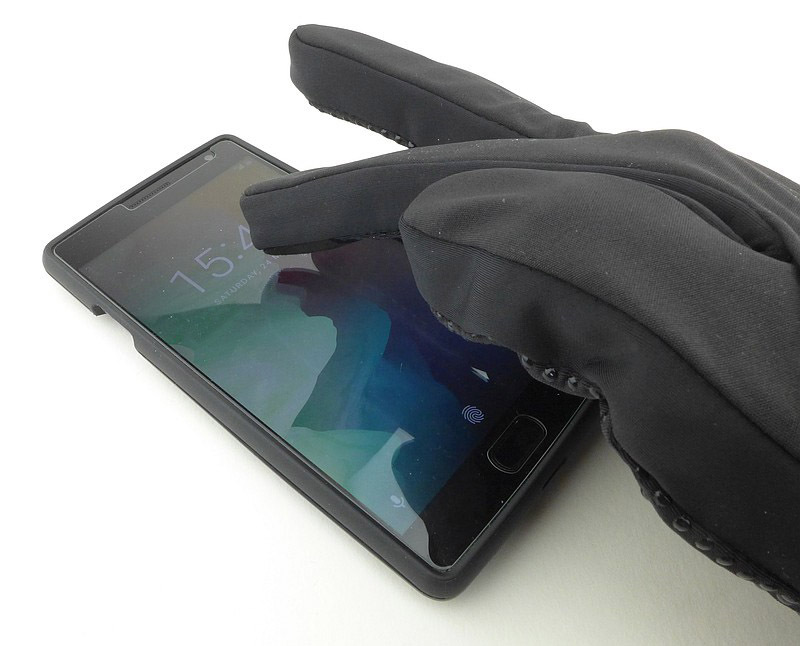 It is more of a case of being able to answer a call without taking off the gloves than being able to make a call. There is not enough precision to tap on a number or name in a list. Certainly useful if you accept the limitations. Overall comfort is excellent and the fit is good. 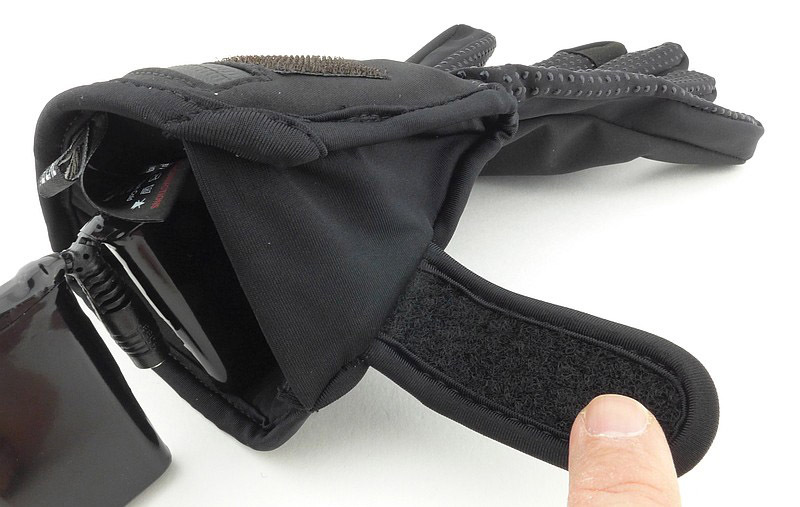 In this gallery the first three photos of the glove being worn are without the battery fitted. Skip forward past the photos showing the button illumination to see the bulk added by the battery pack. You get used to this bulk quickly, but it requires some consideration. It is nice that the power button itself is directly illuminated. When first turned on (using a long press), the first of the three modes is high. To cycle through medium, low and back to high you briefly press the button. A long press is then needed to turn them off again. 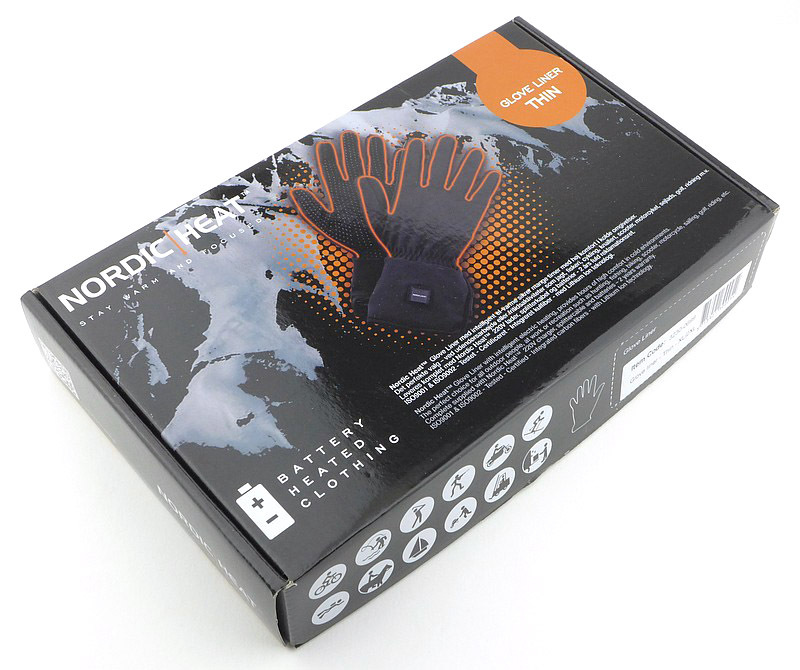 Last in the gallery are some thermal camera images of the excellent design of the heating in NORDIC HEAT’s gloves. Each finger is surrounding with heating elements which are clearly visible. 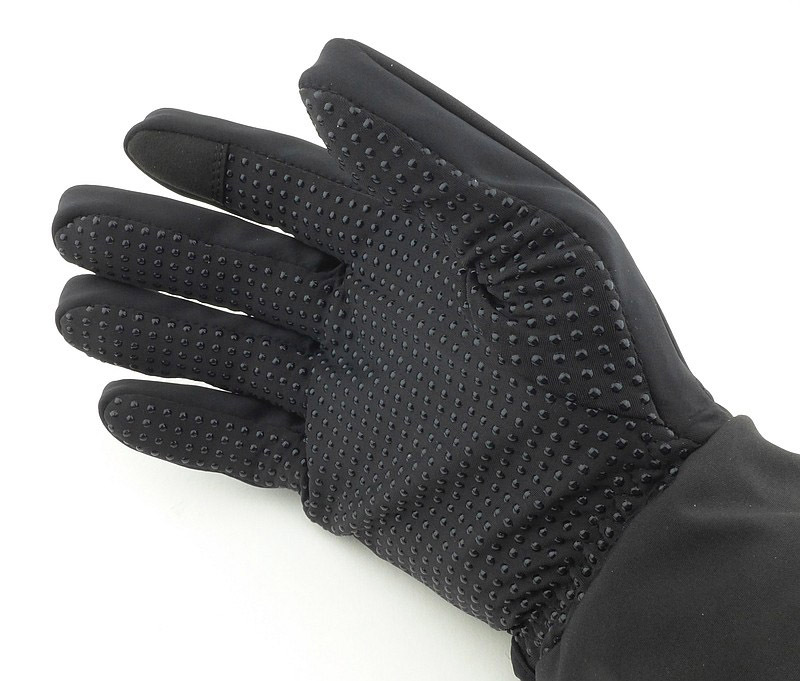 Frequently, heated gloves only heat the back of the hand, meaning there is only heating on one side of the fingers. 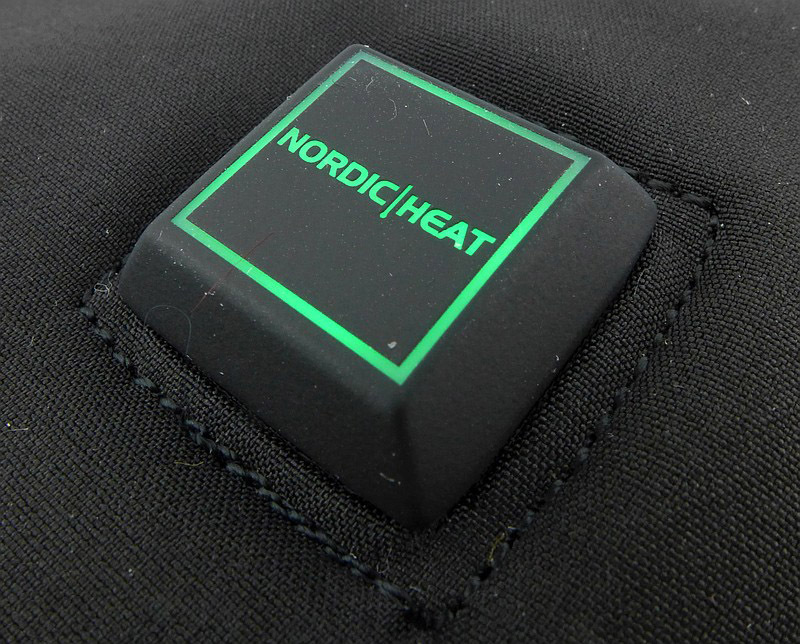 NORDIC HEAT’s method applies heat to two sides of the finger getting more heat in. Here the battery packs are not fitted. On full power the button is red. Medium power and the button is amber. Low power and the button glows green. The bulk of the battery packs make quite a difference. Thermal imaging shows the heating elements. 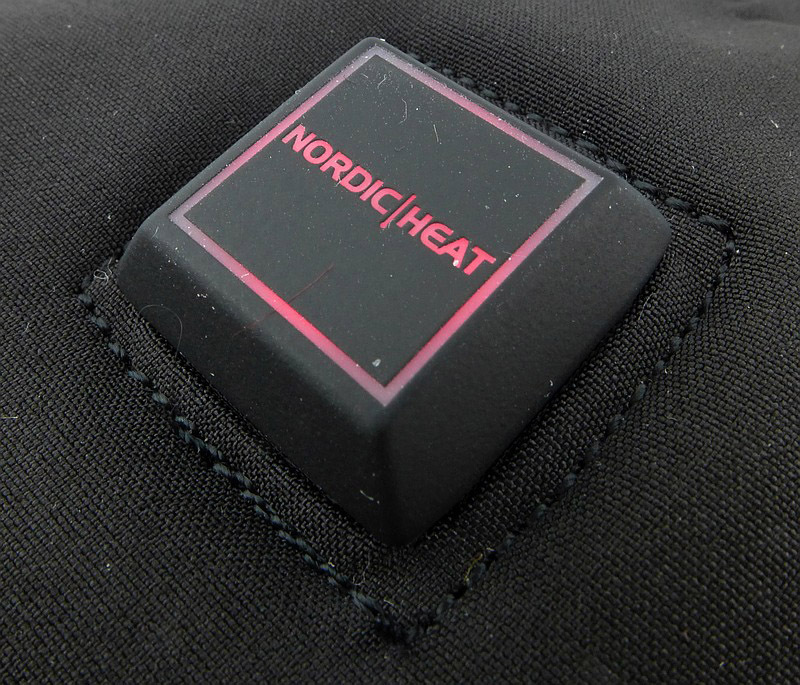 NORDIC HEAT's approach completely surrounds all the finger sides with warmth. Using the FLIR Scout TK thermal camera again to shoot some video, this shows the gloves heating up from cold and those excellent heating elements. Using a dual thermal probe to measure the ambient temperature and the temperature in the middle finger of one glove, the time/temperature graph was plotted of the difference between these two temperatures. This was carried out in a cool but sheltered area on HIGH mode. One glove ran out of power at 1h43m and the other at 1h46m. Recharging the batteries from completely flat takes around three and a half hours (3h33m for one and 4h07m for the other). 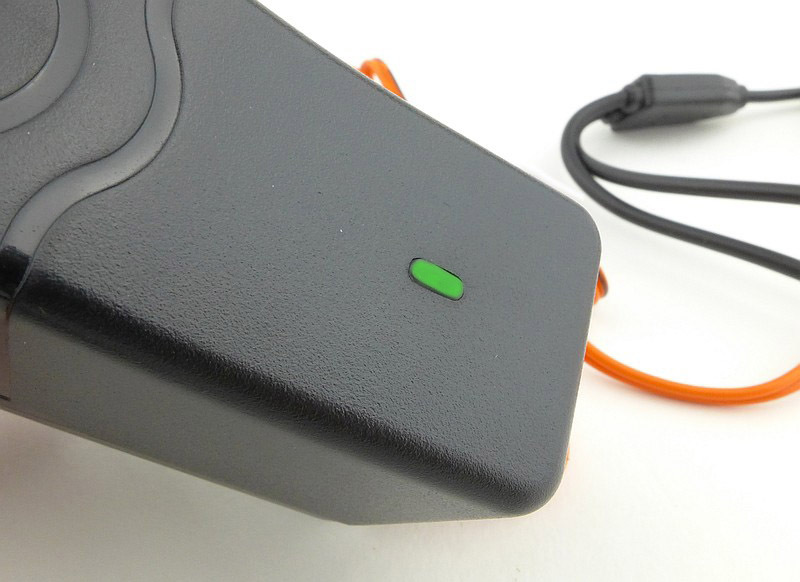 The charging indicator on the charger will be solid red if both batteries are connected and charging, and solid green if they are both fully charged. 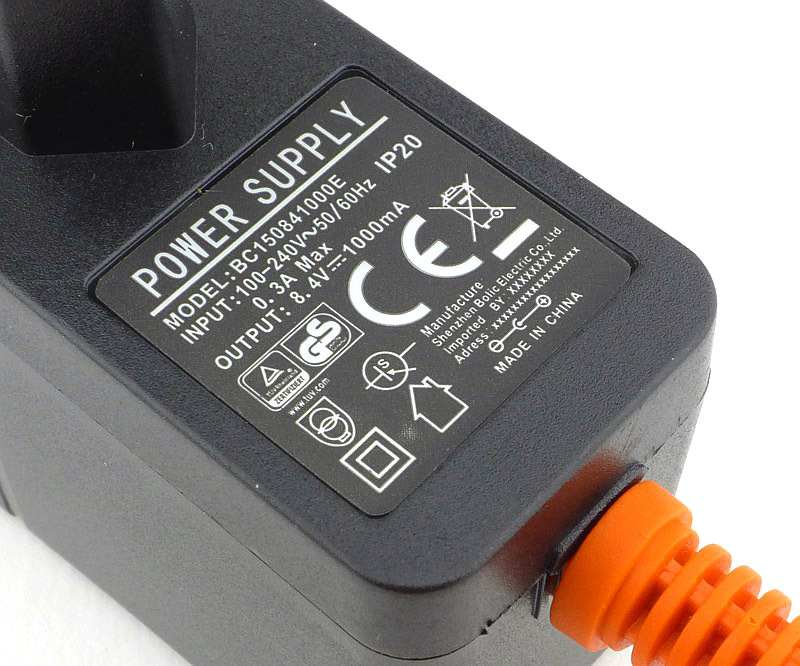 If the indicator light is flashing red, this means that one battery is charged and the charger is “waiting” for the second battery, or only one battery is connected for charging. 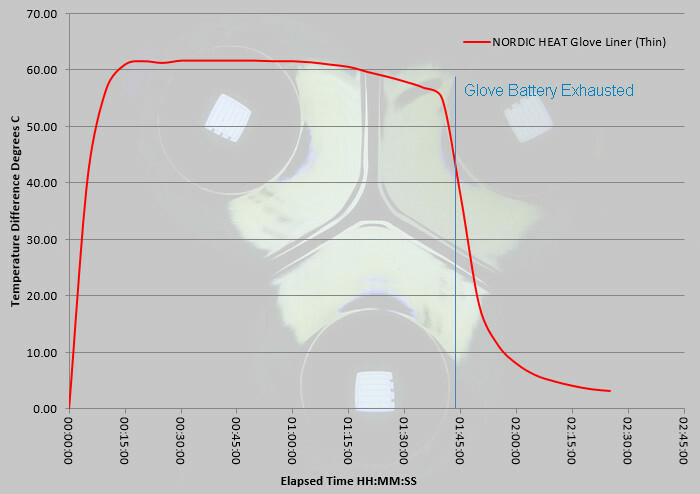 In the graph below, the line marking ‘Glove Battery Exhausted’ is the time when the power light went out. 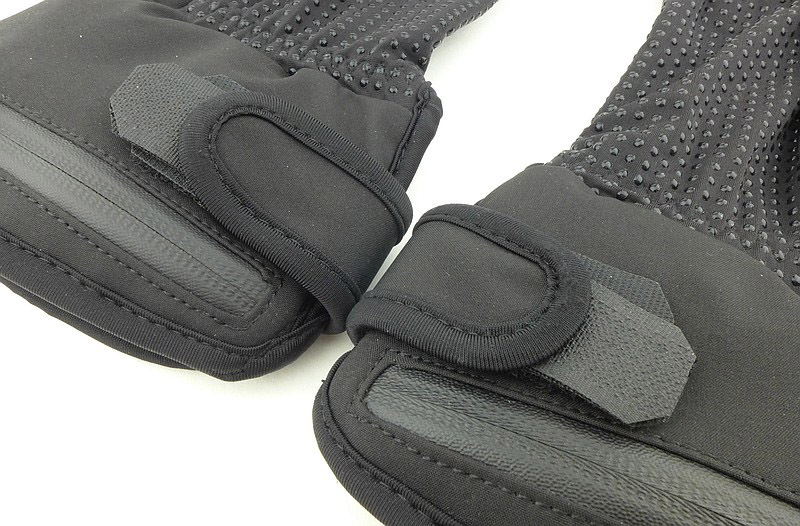 There is only one aspect of these gloves that didn’t work for me, and that was the cuff adjustment tabs. With the batteries adding bulk to the cuff, you really need to open the cuff adjuster to put them on, and then do it up again. For the first hand this is fine, operating the cuff adjuster with bare hands is no problem, but then we get to the second hand, and now we are using the gloved fingers to grip the tab. 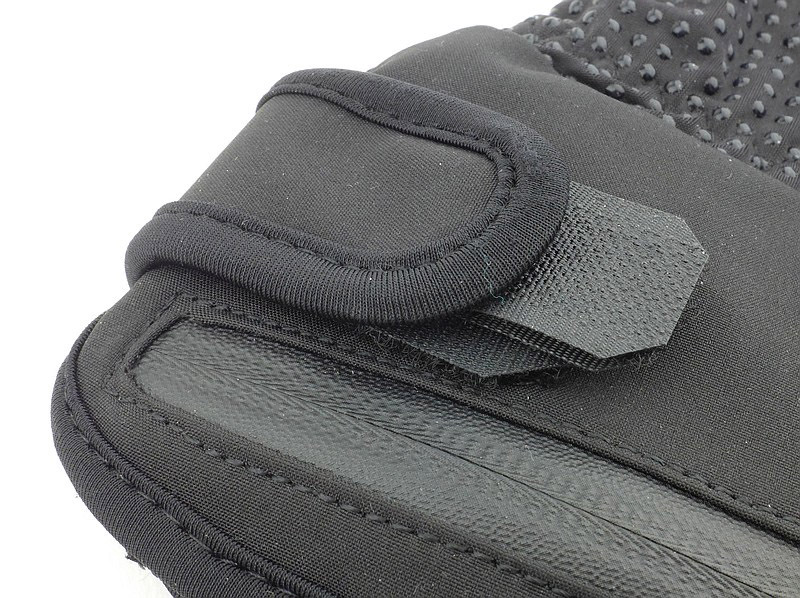 Immediately, as you do up the cuff adjuster, you find the Velcro hook part grabs the fabric of the thumb doing it up. This quickly starts to ‘fluff’ up the thumb fabric and is going to wear it out much faster. Worse than doing it up, is trying to get hold of the cuff tab to undo it. 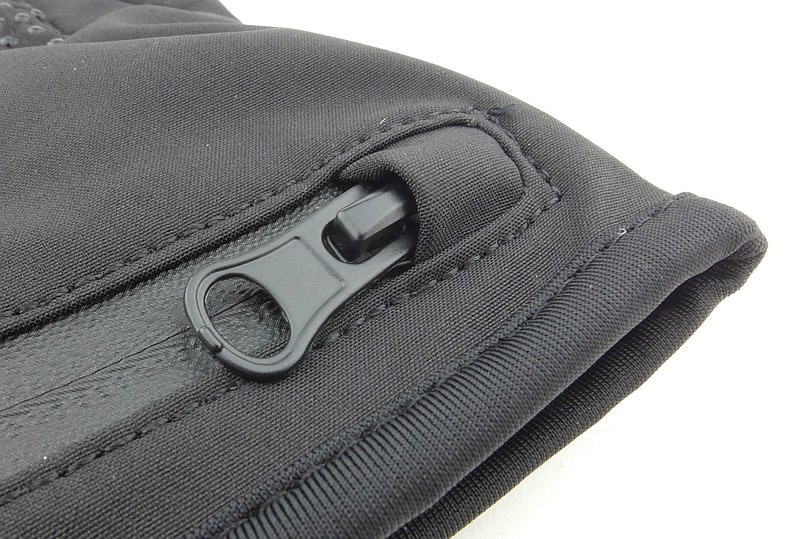 You really have to press the thumb into the edge of the tab to get hold of it, and so onto the Velcro hooks. This is when the thumb fabric sticks to the hooks and has to be ripped off them. All it really needs is a little grip tab (which has no Velcro and extends enough to grip with the gloves on) to allow you to get hold of it, so I got out my ‘Velcro control pack’ to make one. As I find the tendency of Velcro hook material to grab things quite annoying I have a selection of hook and loop strips (my ‘Velcro control pack’) that I can cut to size to cover up excessive hook material or in some cases extend it. The following gallery steps through what I have done for each cuff adjuster. A simple job that took five minutes to do, and has transformed the fitting and removal of these gloves. The completed modifications made to the wrist tabs. The modified tab opened up. 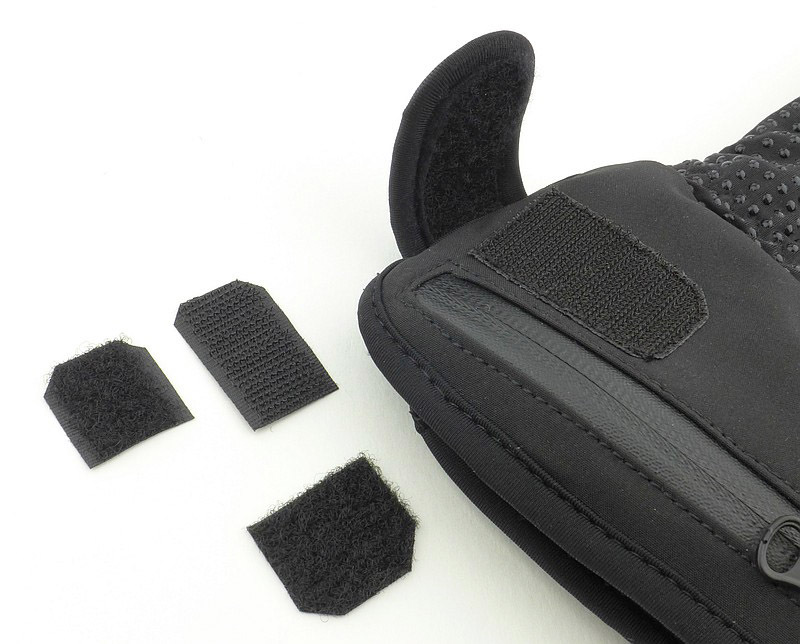 Three small pieces of Velcro are needed to make this removable modification. 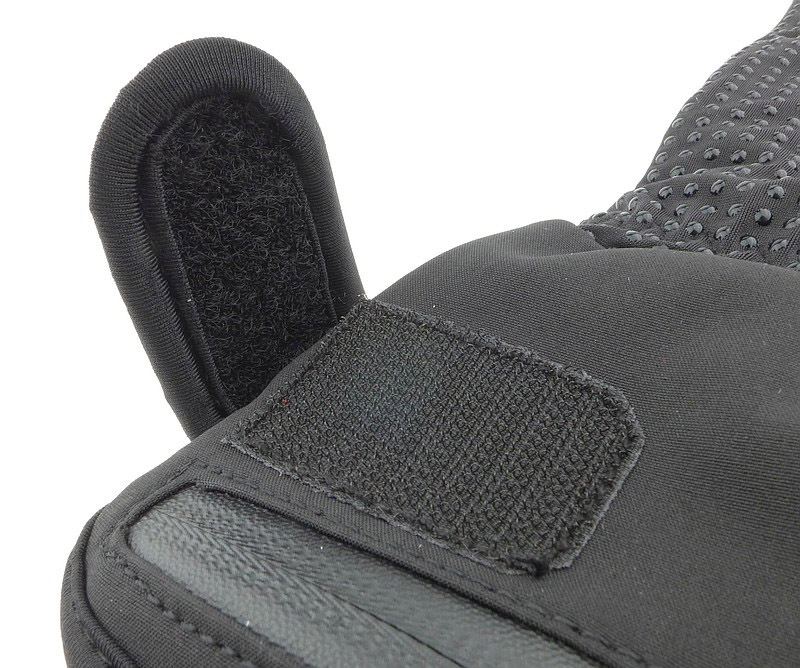 The first covers the exposed 'hook' part on the glove. Then the other two pieces fitted together can be put under the tab. 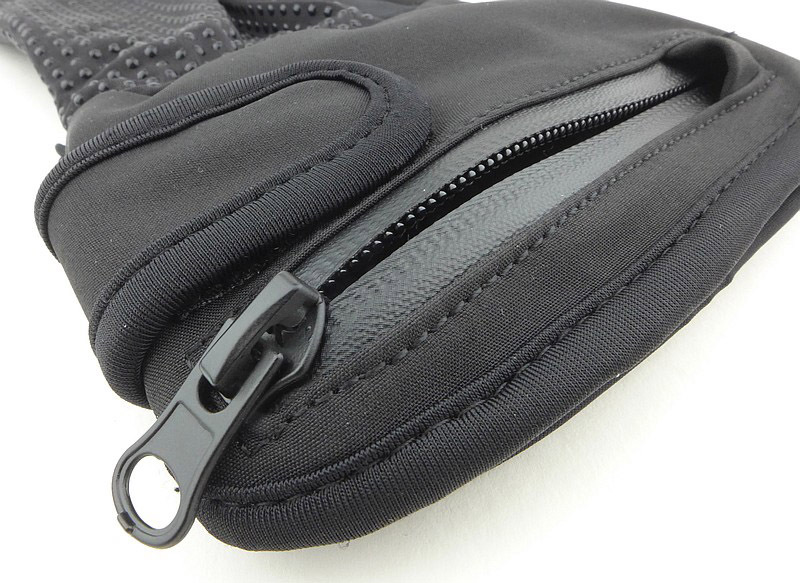 This creates a small tab that is easy to grip while wearing the gloves. All fingers heated on two sides. Touch screen compatible index finger. 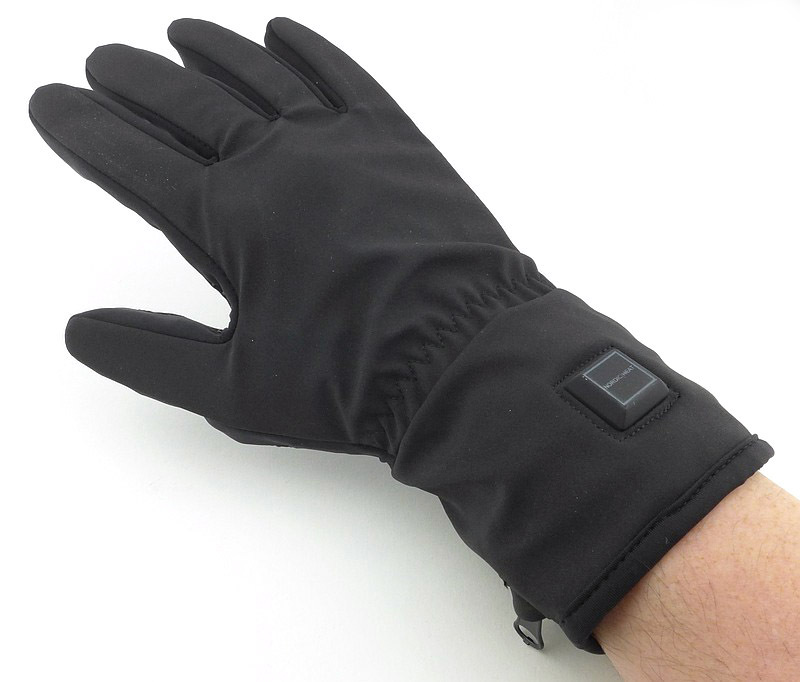 Dual purpose, liner or lightweight glove. Modular design for use with other NORDIC HEAT products. Cuff adjuster tab too short and difficult to get hold of. 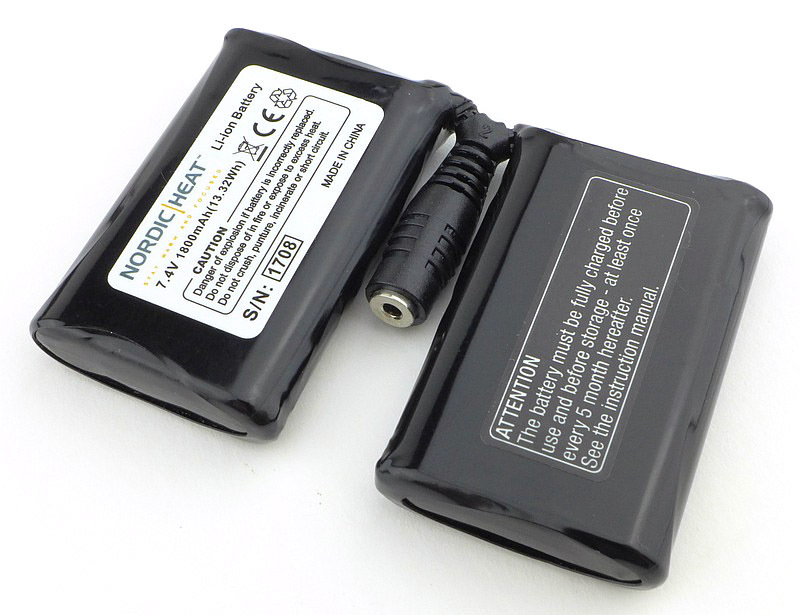 Batteries can be fiddly to fit into the pocket. 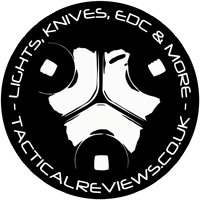 If you read the review entirely on Tactical Reviews, please consider one of the following to join in, or start, a discussion.